The first AMA Supercross in Denver on Saturday night was a challenging one for Team Honda HRC, as Ken Roczen fought the elevation at Mile High Stadium on his way to a seventh-place result, while teammate Cole Seely finished 19thafter a crash and another mishap that forced him into the… read more. 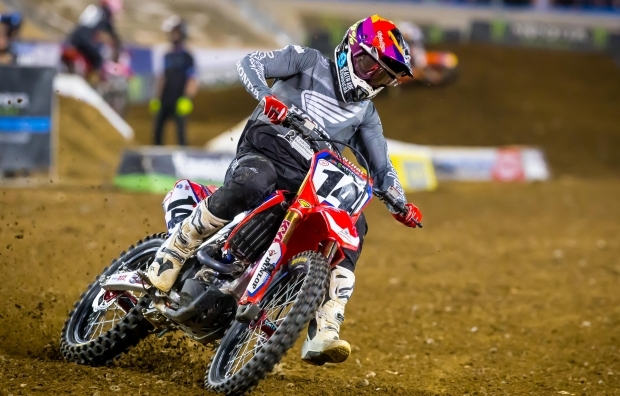 On Saturday, the city of Nashville played host to its first AMA Supercross race, and Team Honda HRC’s Cole Seely and Ken Roczen fought through a hectic main event to finish seventh and eighth, respectively. 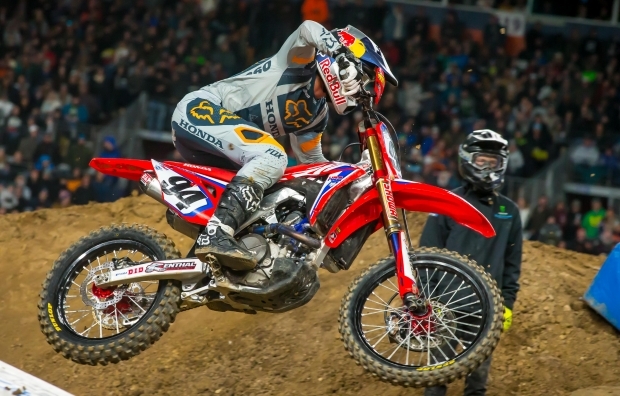 Roczen had a decent start to the main event but was pinched off in the… read more. 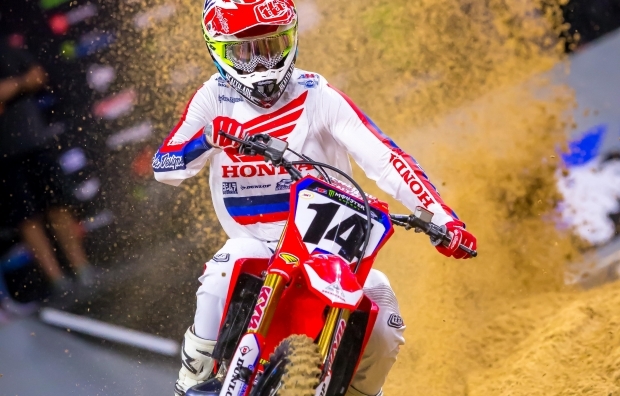 Round 13 of the AMA Supercross series, in Houston, marked the third and final Triple Crown event of the season, and while it was a rollercoaster night for Team Honda HRC, the squad was pleased to see Cole Seely put together his best event of the year to post fifth-place… read more. After posting top-five finishes at the first nine AMA Supercross rounds of the 2019 season, only to slip to a pair of eighth-place results at the last two races, Ken Roczen was pleased to turn in a solid second-place showing in Seattle. The Team Honda HRC rider started well and… read more. 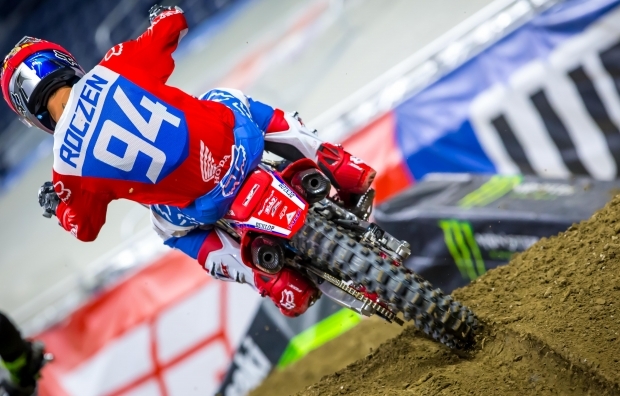 Round 11 of the AMA Supercross series at Indianapolis’s Lucas Oil Stadium left something to be desired for Team Honda HRC, as Ken Roczen finished eighth for the second weekend in a row, while teammate Cole Seely was 12th. 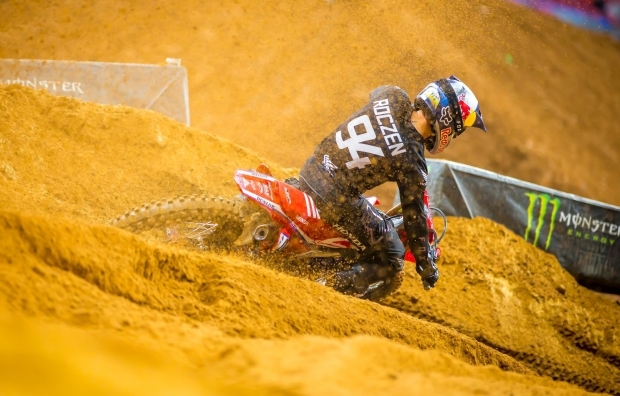 Throughout the day, Roczen struggled to find his momentum. In the… read more. 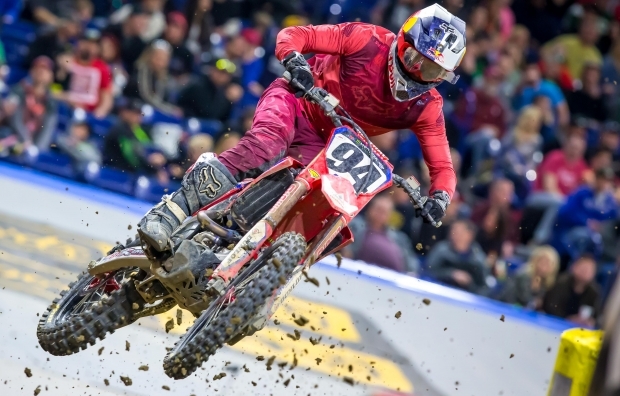 The 2019 edition of the Daytona Supercross, held at the iconic Daytona International Speedway, is a race that Team Honda HRC would like to put behind them, as both Ken Roczen and Cole Seely were involved in the same second-turn crash, leaving them both fighting for position. When the gate… read more. On Saturday, Team Honda HRC surpassed the halfway point of the 2019 AMA Supercross season at round nine in Atlanta, Georgia, where Ken Roczen rode his CRF450R to another fourth-place finish. In the night’s main event, Roczen was forced to start on the far outside after a having problems finish… read more. 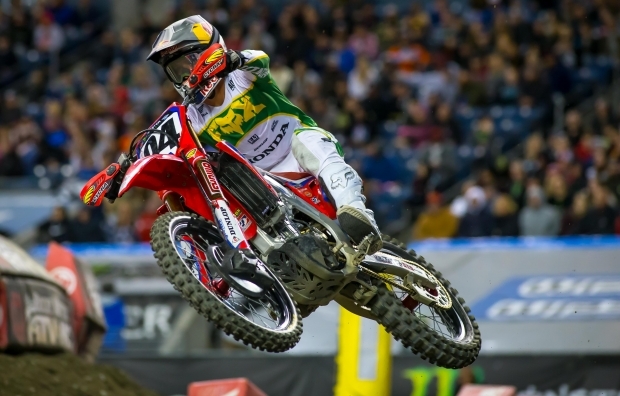 Round eight of the AMA Supercross series at Detroit’s Ford Field played host to the second of three Triple Crown races, and Team Honda HRC’s Ken Roczen overcame flu symptoms to notch a fourth-overall score via a consistent 5-6-5 race tally. 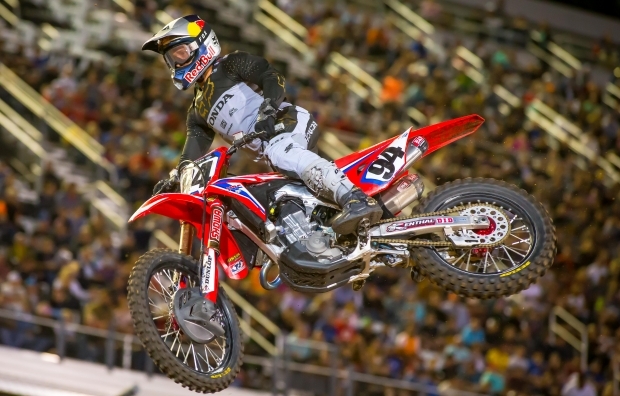 In the night’s first race, Roczen got a poor… read more. 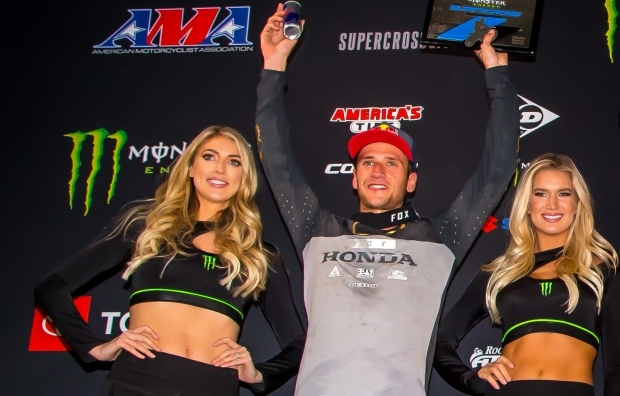 The 2019 AMA Supercross season has seen Team Honda HRC’s Ken Roczen get increasingly close to scoring his first win since suffering major injuries the past two years, and round seven in Arlington, Texas, was the closest yet; in fact, it was literally the closest ever. After nailing a strong… read more. Ken Roczen continued his consistent 2019 AMA Supercross season at round six in Minneapolis, notching a steady runner-up finish in U.S. Bank Stadium and reassuming a slim lead in the championship chase. The Team Honda HRC rider, who has yet to finish outside of the top five this year aboard… read more.